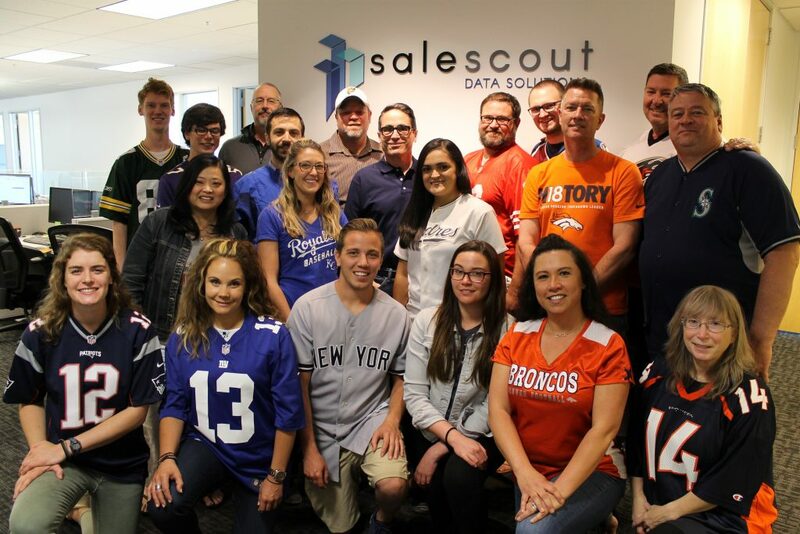 How big is your team and what drives them to succeed in meeting small-term and long-term sales goals at SaleScout? Our business development team of seven works hand-in-hand with one another. Like other tech companies, we have broken down the funnel to focus on demand generation at the top and closing sales at the bottom. To remove the hiccup often found between the top and bottom of the funnel, we’ve paired our Sales Development Reps (SDRs) with Account Executives (AEs) to encourage collaboration and accountability in meeting our sales goals. This ensures we are customer focused and not just process focused and prevents communication gaps between the different points of contact during the sales process. How tech-savvy is your marketing, sales and branding teams? How do you rate them on a scale of 1-10? We must be tech-savvy on two-fronts: from our customer’s perspective and from our own. We sell data to companies who are very tech-savvy, so we have to understand and advise on how our data solutions fit within their tech environments. Our team must also understand the capabilities of our own tech stack to continually improve our funnel management. I encourage everyone to keep on top of new tools (and new approaches) that can give us an edge in business development. I’d rate our team a ‘7’ because there is always something new to learn! How do you think young sales professionals should train themselves to master MarTech and sales automation skills? Keeping up with the latest best practices in sales tech is critical. I encourage young sales professionals to use a mix of resources – online sources, vendor-based training, and other sales professionals. There are so many resources online today – education and information have become readily available to everyone, with invaluable advice on Sales Hacker, MarTech Series, and other similar websites. Our AEs and SDRs also receive a lot of training on our tools and processes during onboarding and beyond. Our vendors provide resources online that provide more formal training (SalesLoft University, Salesforce). We also emphasize role-playing – working on our messaging and pitch both in groups and individually. I encourage them to network locally and online with other sales professionals to learn how other companies go to market. How do you scout targeted accounts using Sales Intelligence and planners? We believe in developing the “warm” lead. Our motto “Never Make a Cold Call Again” is one that we live and breathe. Doing research on each lead and their company is simply table stakes before a call or email. We use our own data and intelligence tool to better understand prospects. Our “BuyerSignals” solution provides market triggers on target accounts for us and our clients. Since much of sales is timing, knowing whether a company grows, or when a corporate contract expires or when a new exec is hired becomes critical to breaking through the noise in a decisionmaker’s day. We also look at intent data (internet activity that indicates intent to buy) and use those details to develop messaging that relates to our prospect’s context and situation. To what extent do you rely on Sales coaching and training platforms to refine your expertise? Much of our coaching is done with more experienced salespeople in-house. 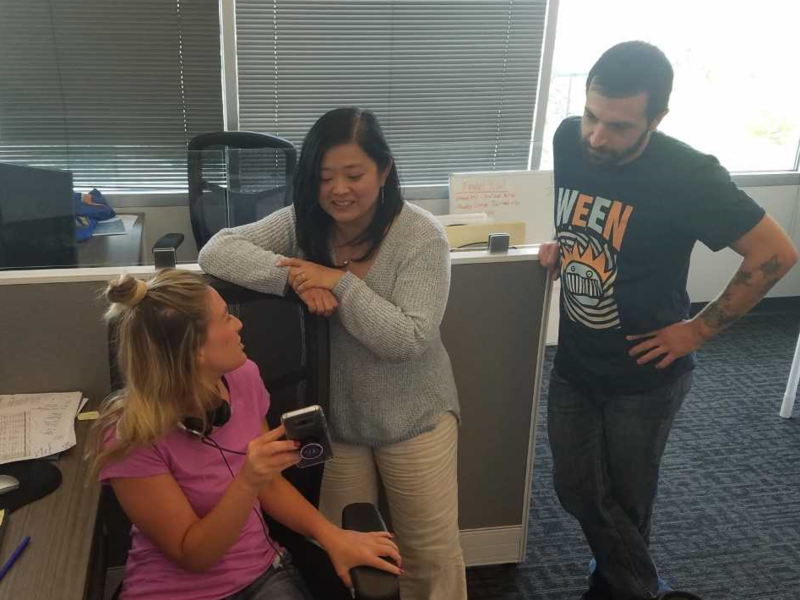 We also record prep calls and use tools that enable our senior leaders to listen in on sales calls and jump in if needed. 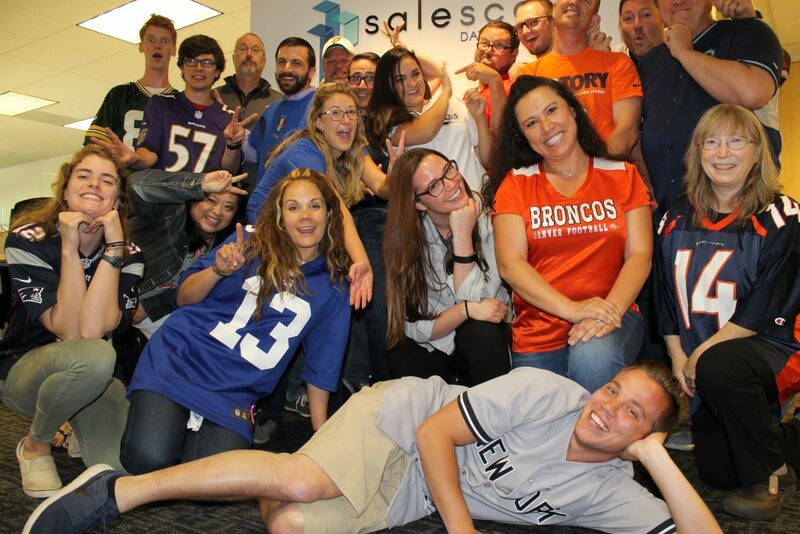 Tell us about your role at SaleScout and how you got here. I am the Vice President of Marketing at SaleScout. I consider marketing in the B2B space as demand gen. My primary focus is to generate leads, qualify them and hand them over smoothly to the sales team. I am responsible for brand awareness as well. 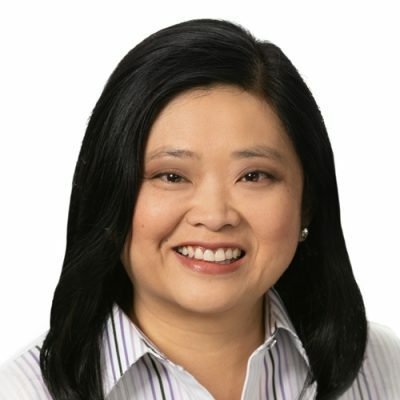 During my career, I’ve been involved in different startups, worked at various agencies, and was a consultant for many years. What brought me to SaleScout was knowing the leadership team and trusting them. I believe in their goals and the organization’s mission – to give B2B businesses what they need to accelerate the sales funnel and close more deals. I previously worked with our CEO, Chris Lynde, and I know we can fulfill the vision he has for the company. How often do you measure the performance of your marketing analytics and sales performance reporting? We formally measure after every event and campaign, and we report to senior management once a month. I also review the number of calls, emails, and activities completed each day. What are the dynamic elements driving your B2B sales revenue model? How do you execute Engagement Economy vision, Strategy, Product and Corporate development at SaleScout? Our goal is to produce content that addresses the topics that keep our prospects up at night and deliver this content when it’s relevant. To that end, we have become adept at recognizing buyer signals and buyer intent, and we have developed messaging, approaches and tactics that are tailored to each “signal” so our reps know how to respond. Downsizing? We need to be considerate of the implications. New exec in charge? We make sure we acknowledge the new job and the challenge. What are the tools and strategies you use to create effective B2B sales content at SaleScout? We have a core group of writers who understand the dynamics of our space and more importantly, what keeps our customers and prospects up at night. Topics of interest are continually evolving. Also, attending events like SiriusDecisions Summit, reading articles on MarTech Series and talking with clients to get a sense of their pain points helps us to develop our content topics. Could you provide us with a sneak peek into your content and sales enablement/acceleration strategies? My approach is to invest in bigger events and bigger pieces of content, rather than drips so that I can cut those into multiple, smaller pieces. Right now, we’re working on an eBook called “Level Up.” It’s a broad piece we’ll share out in multiple, different-themed topics on our blog. What are the types of sales content you leverage? Out of all marketing collateral, including a whitepaper, brochures, e-book, playbook, case studies, webinar, research reports, and infographics, which resonates the most with your customers? We focus on creating content that’s easy to digest and easy to use. With this approach, we steer away from white papers and instead, focus on providing powerful, compelling, short pieces of content. A new piece of content we’ve just released is an animated “explainer” video. We are just starting to test it with our audience and eager to see the results. The feedback so far has been really positive. Last month, we coordinated a webinar with one of our clients. This was a huge success with a lot of people who registered and are now in our pipeline. It comes down to the fact that the piece of content we deliver depends on where the prospect is in the sales funnel. We always consider if we are introducing them to the brand, nurturing the relationship or closing the deal before we push out content. From a tactical standpoint, how often does your organization revisit the sales tech industry? 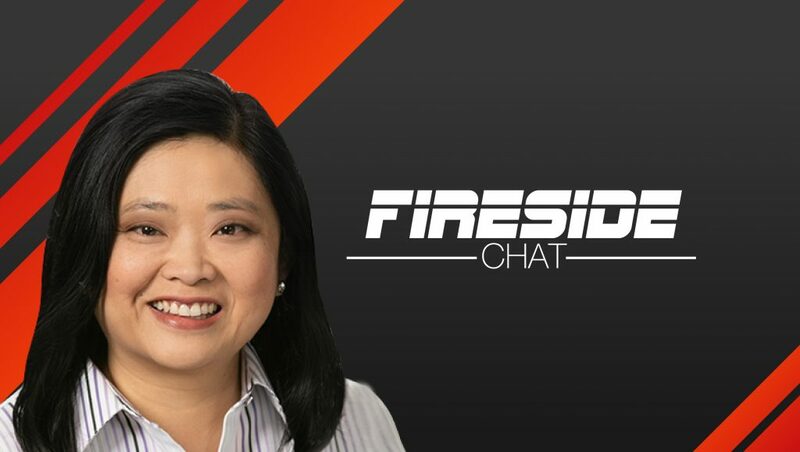 We attend several events throughout the year to engage with other sales and marketing professionals – like TOPO and the SiriusDecisions Summit – as well as software events like Marketo’s Marketing Nation Summit and Salesforce’s Dreamforce. Companies have invested a great deal in these platforms and our data must work seamlessly in conjunction with them. We are also always on the lookout for new software and tools to enhance or accelerate how we sell. Currently, we are looking at a new tool that scans the internet for who is downloading what (e.g., a white paper on CRM, or participating in webinars on ABM), compiles the information, and profiles the buyer and their intent. How does the technology involved impact your customer building/partnership model? Technology is just the enabler. Central to every deal is human interaction and customer focus. If we implement new technology and it presents a hurdle to a prospect, it’s not worth it. Take calendaring systems – they need to be easy to use, click on one link and sign up. But, at the same time, it can be concerning to have someone put time on your calendar without any background. Who are they and why do they want to talk? For this reason, we blend personal touch points with our technology. How do you see the technology you use impact the customer acquisition and success rate? So much of SalesTech and MarTech is focused on encouraging self-service on the part of prospects. And for the most part, decision-makers prefer this – to research, trial, demo, etc., on their own before engaging with a real live person. However, this can go too far. I believe that personalization is core to how we use our technology and accelerate sales. 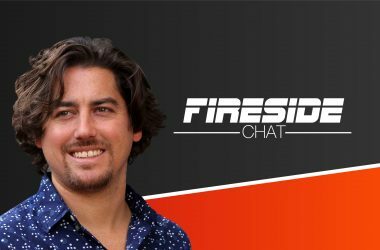 Looking at the different technology platforms we have, we know we can get an email out in many ways, but the tools we use depend on the level of personalization we want to offer up. We track how often we’ve reached out to someone before they’re ready to buy. We don’t want to spend too much time on a prospect that won’t go anywhere, but we also don’t want to spend too little time. If the prospect is ready and the sales process takes too long, or if you hit too hard before the prospect is ready, you’ll get stuck in a rut. That’s why we make sure to understand the type of decision-making process our prospects are going through when considering our products, so we can nurture at the right point and handoff at the right point. Do you see sales and marketing technologies unifying or evolving together to deliver higher ROI to CMOs? Sales and marketing need to evolve together. We decided on business and data rules upfront to centralize all our tools around our CRM, so both departments are reading the same data. We are constantly evolving our plug-ins and apps that we use with our CRM as the hub. We also work to unify sales and marketing to make sure that the partnership outside of technology is healthy. Technology is so often used to remove “in the hall” discussions, but you still need to have these essential conversations to succeed. Our people and processes must communicate and develop new approaches together. 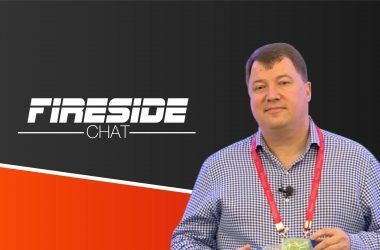 What is that one piece of advice you received that you would like to pass on to the MarTech industry? Don’t automate so much that you lose the value of real, in-person touches. For me, the personal touch is crucial, and our technology needs to enable that. Scott Berns, CenturyLink, director of marketing operations – business markets. Thank You, Jean, for answering all our questions. We hope to see you again at MTS, soon.